If we really want to start some valuable relationships with our prospects, we need to know who they are before we reach out to them. The better we know the specifics of our target group, the better we will be able to communicate with them afterwards. How can we get to know the people without talking to them? Well, it’s 2015 and we’ve got the Internet, that’s how. So before you get about writing the copy of your cold email outreach, it’s a good idea to study your prospects and find out who they are, how they work, what they appreciate, and what they despise. If someone doesn’t have both Facebook and Twitter profiles, they usually have at least one. These are places full of first-hand information, as that’s where our addressees actually talk and communicate with their friends and followers. Twitter and Facebook can tell us a lot about the prospect’s language and interests. Reading at least a few posts from our addressees’ social media profiles allows us to feel the tone we may then use in our emails, as well as find some things we and our addressees have in common. If we point to the things in common in our email, it gets a bit warmer at once. So, pay attention to what your prospects share, like, and retweet. Check out who they follow. See what gets them angry, frustrated, happy, and excited. There’s a huge load of real emotion we can find on Facebook and Twitter. LinkedIn is a real mine of information. It’s more business- and work-centered than Twitter and Facebook, so in fact it stores more information relevant to our B2B outreach. What do we check on LinkedIn? First of all, we read what our prospects wrote about themselves (plus how they actually wrote it). We can also check what other people wrote about cooperation with them. We check what groups our prospects belong to — that helps to establish their field of interest. We obvioulsy check what they posted. And we look for the topics they feel confident about. 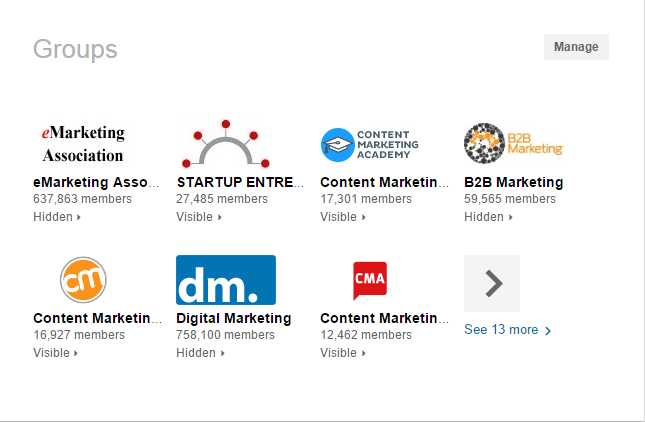 Another thing to check out on LinkedIn, perhaps the most important one, is the list of their connections. Maybe there are some common points between our network and theirs. We should always look for those common connections, as later on we could use those for referrals. For more practical tips on how to use LinkedIn for referrals, check out this article by Michał Szehidewicz on RightHello blog. Some of our prospects regularly post and comment on Quora. That’s another place to check for their first-hand opinions and their language style. Again, what we look here for is some topics they are particularly interested in, fields they feel a kind of experts on, plus some specific things that they love and hate. If you search by the topic, Quora is also a good place to find some new prospects. That’s where I look for posts, comments, and up-votes of my target group. But a lot depends on who you’re addressing your emails to. It’s important to identify places like this one, but specific for your own group of prospects. If our prospect writes some posts for their company blog, or they have a personal blog where they write on business, we should definitely check that out. The blog is what they care about. And if we really care about them, we care about the things they care about. The blog is a great place to find a relevant topic for our introduction as well as some common points between us/our company and them/their company. More about that in the upcoming article on personalized email copy. Almost every company has a website. Most of companies’ websites involve valuable information about our prospects company, their clients, their team and the values they care about. Some of them have a well-thought-out extended websites with a nice ‘About’ sections. We may use these in a similar way we would use a blog, depending on what kind of information we can find in there. I bet the first thing that comes to your mind right now is that such research takes a lot of time. It does, in fact. But this will allow you to prepare highly personalized outbound outreach. This is how you create truly effective cold email campaigns. Yes, it will take you more time to find out some information about every single prospect. But this also means you will actually know your prospects better and that will be mirrored in your emails. You can send fewer emails, but the important thing is your emails sound personal and show that you actually care. That’s how you show your prospects you actually give a damn about starting a real, mutually-beneficial relationship with them. It’s the quality, not the quantity, of your cold email outreach that really gets you hot leads and fruitful partnerships. Creating high quality cold email campaigns takes more time, but it’s also much more effective. In the upcoming article, I’ll focus more on the copy part of a cold email that sounds naturally and shows the addressee that we really do care about them. Previous postWhy Do People Hate Cold Emails & What Can We Do to Let Them Love Ours? Thank you, Rémi. Glad you like it!